Nashville, TN -- Country music and Bluegrass legend Ricky Skaggs is set for several national television appearances in support of his new autobiography, Kentucky Traveler, and his most recent CD, Cluck Ol' Hen, a collaborative live album with pop artist Bruce Hornsby. Nashville, TN -- Ricky Skaggs, one of Bluegrass and Country music’s most recognized ambassadors and Bruce Hornsby, one of Pop's most talented pianists and singer-songwriters are reuniting for the first time since originally collaborating six years ago. On August 20, 2013 the two music legends will again come together, this time for a live album, titled Cluck Ol’ Hen (Skaggs Family Records). 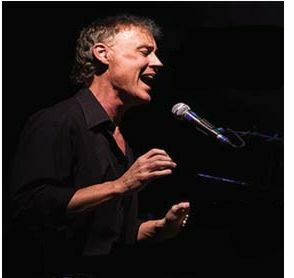 As a part of the 2011-2012 Guest Artist Series, the Adelphi University Performing Arts Center (AUPAC) will host recording artist, singer-songwriter, and pianist Bruce Hornsby for a performance to be held on Friday, February 10, 2012, at 8:00 p.m. in the AUPAC Concert Hall, 1 South Avenue, Garden City, NY. The Guest Artist Series has proven to be a particularly exciting one for the AUPAC this year. The Concert Hall is quickly becoming one of the most in-demand venues for the greater Long Island community to see world-renowned artists such as Broadway singer-songwriter Simone and Emmy award-winning Hal Linden's sold out show in December.